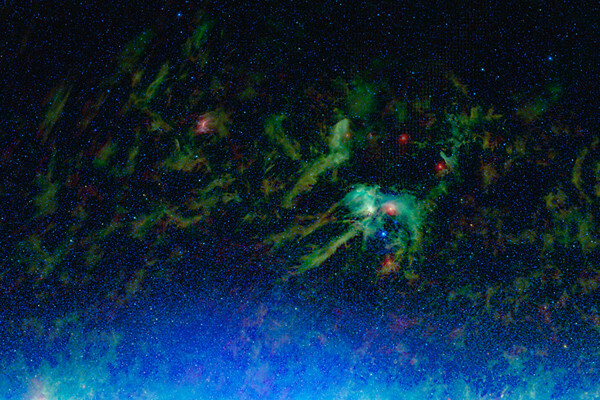 This is a mosaic of the images covering the entire sky as observed by the Wide-field Infrared Survey Explorer (WISE), part of its All-Sky Data Release. Image credit: NASA/JPL-Caltech/UCLA. CLICK TO ENLARGE. NASA unveiled a new atlas and catalog of the entire infrared sky today showing more than a half billion stars, galaxies and other objects captured by the Wide-field Infrared Survey Explorer (WISE) mission. It’s the largest, most detailed infrared view of space, ever. 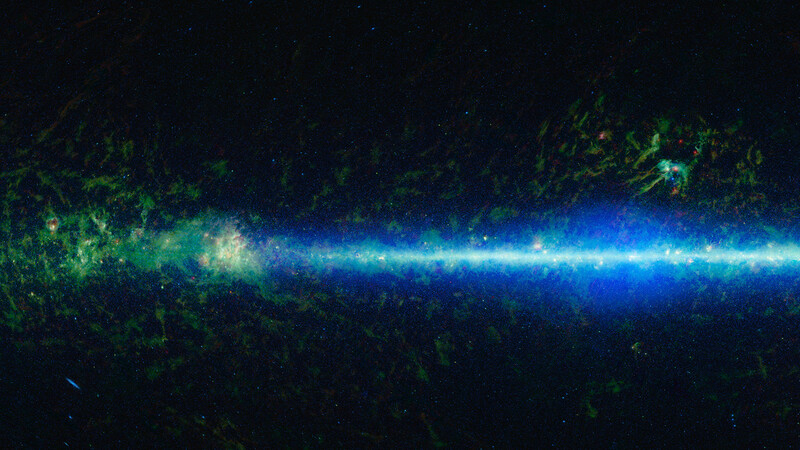 The luminescent blue particles in the middle are stars in the tendrils of our disk-shaped Milky Way. They’re not really blue. As this photo was technically taken in infrared, the wavelengths captured are far beyond our color spectrum. But scientists use what are known as false colors as a visual shorthand to identify objects. Blue is used in shorter IR lengths, green in medium, and red in longer. In this regard, the colors–while entirely fictitious–parallel our visual spectrum. 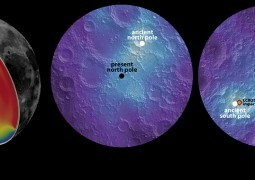 For more information about WISE, visit: http://www.nasa.gov/wise, http://wise.astro.ucla.edu and http://jpl.nasa.gov/wise .